It’s been a long time since the settlements of Pelsall and Brownhills had a passenger rail link. When I was a child in the seventies, I remember watching freight trains rumble down the line that ran through the town, carrying a wide variety of cargo from coal to new cars from Longbridge. Sadly, along came the eighties and the Thatcherite disdain for public service – budget cutbacks at British Rail led to the mothballing and eventual removal of most of the permanent way between Walsall’s Ryecroft Junction and Lichfield’s Cross City line, leaving only a single track to serve the one tanker train a week that called at Charringtons oil depot on the A5. Just after the turn of the millennium, that depot closed too, leaving behind a desolate but still intact track-bed sadly mostly devoid of rails and rapidly becoming overgrown. Panoramio user Dawntreader travelled the path of the old line from central Brownhills to Lichfield a couple of years ago and uploaded pictures of his exploration to Panoramio. They’re still representative of the current state of the line. Click images to see larger versions in Panoramio – all photos by Panoramio user ‘Dawntreader’. One can rail – if you’ll pardon the pun – at the apparent stupidity of the decision to mothball the South Staffordshire line. Many can rage eloquently at the bullishness of the road transport lobby that hemmed in communities by clogging up their roads with former railfreight, delivering the monetarist creed that profit was all that counted. Some may even lament, misty eyed, the era of steam and stationmaster’s whistle that Beeching brutally butchered. All of this is worthy, and I sympathise wholeheartedly, but we are now where we stand and must, if possible, move forward. Unfortunately, in the climate that now exists, both within Walsall’s civic hive-mind and nationally in the political consciousness, we’re never likely to see a rail link restored to Brownhills. In fact, we’re very unlikely to see anything useful done with the track-bed at all. Brownhills Station, insalubrious but functional. It stood to the rear of where Smithy's Forge stands today. Whilst I support the efforts by groups like Brownhills Rail Action Group (who seem to have died, they have no web presence) and the crusades by Kevin Ellis, as well as affirmative actions by Barbara Cassidy and former councillor Richard Worrall, I fear that their efforts are wasted because both locally and nationally, our government couldn’t give a toss about public transport. Most of our politicians, just like the public, travel almost exclusively by car, and consider it the only way to travel. Therefore, the only approach to transport must be wholly and solely aimed at roads, road transport and the associated industries. Those of us who use public transport, or indeed, alternative forms of transport like walking or cycling, are viewed as either impoverished, eccentric or simple. Moreover, the public view of such alternative forms of travel is that it would be wonderful if they were more encouraged and more popular, because that would take more traffic off the roads and make their drive to work easier. Public transport is always a fantastic solution for everyone else. I mention this now, because there’s been some buzz recently about the Association of Train Operating Companies – ATOC – ‘Connecting Communities’ report (.pdf file, Adobe reader required), which recommends restoration of the route between Walsall and Brownhills (at 52 million pounds) or between Walsall and Lichfield (at 70 million pounds). It suggests rebuilding of a single track railway, with stations at Brownhills and Pelsall. On the face of it, this seems like great news – it would provide quicker links to Walsall, Birmingham and beyond, but includes no details of how such a plan would be funded. The authors of the study also suggest that an hourly service would be appropriate. This is all great, positive thinking but I’ve got a few problems with it. Firstly, throughout the daytime, there’s a bus service to Walsall every 10 minutes or so, and a services to Birmingham every half an hour. There’s also a half-hourly bus service to Burntwood and Lichfield, but it’s expensive and slow. The bus service to Walsall takes about 20 minutes off peak, so that to compete with this, a rail service would have to be, say, every 20 minutes, otherwise passengers will just get the bus instead – just as they did with the Walsall to Wolverhampton service, because it was so infrequent and irregularly timed. Trains need to be frequent enough not to matter too much if you miss one or if they’re running a bit late. Secondly, we live on the very edge of the West midlands. In terms of public transport, we’ve got a great service to the rest of the county, even if Travel West Midlands do save the most decrepit, unpleasant vehicles just for us. If we want to go into Staffordshire, the service is lousy and expensive, because Walsall Council, Centro (the West Midlands passenger transport executive) and Staffordshire County Council couldn’t form a constructive dialog if their very lives depended on it. That’s why we have a bare minimum direct bus service between Walsall and Lichfield, which has just this weekend been axed to 6 busses a day at peak time only (the 991 service) – subsidy funding can never be constructively supplied or agreed. Quite how the parties would get on trying to cross-fund a railway service would be really, really interesting. (1) The Council welcomes the findings of the Association of Train Operating Companies’ (ATOC) report “Connecting Communities: Expanding Access to the Rail Network” which appraised 70 English communities of over 15,000 population who are unconnected by rail and identified nine areas ripe for reconnection – two of which were Aldridge, and Pelsall, Brownhills. (c) that the focus of the ATOC report is on “opportunities to connect communities which could be delivered relatively quickly”, and assumes a decision to proceed by 2014. (b) expresses its commitment to work thereafter with ATOC and all interested parties on developing these two schemes to the point of decision at the earliest possible date.. I broadly support this motion, in common with most people who’d like to see a train service reinstated for Brownhills. The statement about developing to the point of decision is a key caveat that needs to be considered carefully; they’ll work to a conclusion, which will undoubtedly be ‘no’. Why? Well, it’s too big a decision, too big a project to leave to the amateurs in local government. The farcical ring road project was originally projected to cost a quarter of the sum required to reinstate the link to Lichfield, and that went a third over budget. While I’m not naive enough to think that Walsall would be in charge of rebuilding a railway, the bits it would have to provide – funding for stations, bridge improvements – would cost far too much for a penny-pinching, cut-back, cut price council to invest in. Councillors are elected with short tenures, and aren’t prepared to take risks upsetting their constituents on issues that may cost them votes locally. This can be seen already in the placatory Nimby-stroking currently going on over on Pelsall councillor Marco Longhi’s blog, in which the councillor attempts damage limitation after he found that a particularly niggly article about his view of the rail link was unexpectedly preserved for posterity by the YamYam. The article and blog post show that, despite gestures to the contrary, councillors are more worried about short term votes than they are about benefit to the wider community. This wouldn’t be so ironic, except for the fact that in the previous post on his blog, he bemoans the prospect of road pricing by arguing that there was no public transport alternative. You’re the councillor, Marco, we’re looking to you for solutions – so far, all we’ve got from your council is poorer public transport and astronomical parking charges. A nightmare on Station Road? Who'd have thought it? Walsall Council couldn’t even manage to keep the Walsall to Wolverhampton rail link open – with existing stations, on existing track, because they wouldn’t take the bold decision to invest in a frequent service. 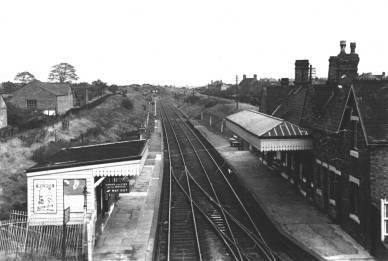 The option of a station at Aldridge was talked out of council several times by an Aldridge councillor who was terribly worried about the noise of electric train doors, despite the line having multiple coal trains rumbling through it a day. Land was acquired at Willenhall for a station that was never built. This is the reality of transport planning in Walsall; narrow minds, short-termism and a failure of vision, but ill thought out road projects get steamrollered… literally, and sod anyone they may inconvenience. In the absence of any positive movement, the best thing to do with the line in my opinion would be to convert it fully to a cycle/walking trail. It’s already partially forming National Cycle Rote 5 from Ryecroft to Pelsall; it would make a fine, non-hilly traffic free route all the way to Lichfield, with easy access to Pelsall, Brownhills, Chasewater, Hammerwich and Wall. Sustrans has an agreement in such cases that should the former track bed be required for rail again, that alternate arrangements for the cycle route should be made, so it wouldn’t inhibit the eventual return of rail. However, this is never likely to happen either, as widely trumpeted plans to re-route and expand the current route through Pelsall in 2005 – extending the track as far as Brownhills – mysteriously died when the planning application was withdrawn (planning application ref.05/2413/FL/E3 – enter that reference here if the link doesn’t work). In short, our council doesn’t care about such matters and only pays lip service to them when it wants good publicity. Unless we give power to people bold enough to take big decisions, transport in Walsall will not improve, and out congested roads will continue to choke. This entry was posted in Brownhills stuff, Environment, Express & Star, It makes me mad!, Just plain daft, Local politics, planning, Walsall Council and tagged Brownhills, Brownhills local history, Brownhills railway, Brownhills station, Derelict, Express & Star, local blogs, Local History, Local politics, Pelsall, Pelsall Railway, Pelsall station, planning, Politics, Redevelopment, South Staffordshire railway, Walsall, Walsall Council, Walsall politics, Wlasall to Lichfield railway. Bookmark the permalink. 23 Responses to Train in vain? wouldn’t a metro system be a better option for these lines? The metro is a nice idea and has been mooted a couple of times. Due to the overhead lines and need to travel on regular rail lines with heavy rail traffic at Lichfield and Walsall, I fear it’s not really an option. It would also effectively prohibit the us of the line for goods and expansion opportunities northwards. I suspect the only way we’ll ever get rail lines back is if the freight industry nee them to relieve congestion. Much to my surprise, the Walsall-Wolverhampon service seems to be back. It’s obviously not well publicised, as I only looked after my better half saw it mentioned in a newspaper. I mean to comment on other bits in this post, but it’s taking a while to read through :-). I’ll be back. here is the timetable for that service. The Walsall – Wolves service as it exists right now is a joke, to be honest. I don’t know if you ever used the old one, but it took about twelve minutes and used the direct line to Wolves from Pleck Junction – it was quick and direct. I regularly used to do meetings in Telford, and could hop the 8.45 am train and be in Telford by about 9.45. At one stage the same train went right through… it was excellent, but not frequent enough. Now, the only alternative is to do the 529; the train you point out takes an hour, as you say; it’s frequently quicker to get the fast train to Brum and get on the Wolves train there. I suspect the link was done as a sop to the closure and also for operational convenience. Regular users just thought they were taking the piss. These days, if I have to go there, I make alternate arrangements. This is exactly what I mean; only people who’ve never used, and have no intention of using the service would ever have thought that such a crap replacement service would be useful or usable. Thanks, lads, you’ve driven more train users onto the roads. I have used the old service. I did *try* to use when I worked in Wolverhampton, but, as you have pointed out, the timing and frequency was that poor that getting the 529 (shudder) was the better alternative. Since it was so poor, no-one used it, which gives the operator the excuse to stop running it. Hurrah! If you did manage to find one that matched your timetable, I agree, the journey was brilliant. No stops, and a very fast journey. The 529 is that full of low-life and stops so often that we haven’t been out in Wolves for sometime as we can’t face the horror of it. The new service is an utter waste of time. I have to agree with so much here. I’m a car driver. I commute by car- my journey would take several hours by public transport, but 45min by car. I’m also a bit of a car enthusiast- I actually *like* cars. I even enjoy driving once I get out of the congestion, though that doesn’t happen often. However, I’m still looked upon as a bit odd, because I often choose to walk for very short journeys, and when it is practical, I use public transport by choice- and not just if I’m planning to visit a pub. Today’s society is hooked into car use: we have out-of-town cinemas and shopping centres, for a start. Public transport is often dirty, unreliable, and not frequent enough. I always think what things are like in London- Londoners complain about the tube, but around the core it’s frequent enough that you don’t need a timetable. Buses to Lichfield are a joke- when the 991 was frequent you could consider a trip to Lichfield by bus- now it takes forever. I find it ridiculous that I live near the main Lichfield-Walsall road, not far off halfway between them, but getting to Lichfield by bus is a long, tiresome, infrequent chore. You make the point about daytime frequencies- but they can get much worse out of core hours, and indeed, there’s a noticeable hole in schedules at the cahngeover between daytime and evening services. As to the council or Centro doing anything about it, ever visited one of the Transport Users Forum meetings? Centro wringing their hands as they can’t do anything to subsidise routes even if they had the money to do so as law prevents them from doing so. Angry users, most of whom don’t realise that the bus companies have to make money under the present model- they can’t just go out and buy new buses with low entrances, for example. TWM/National Express WM not giving a crap as long as they screw lots of money. Councillors blaming former councillors (Richard Worrell) for the bus station. Marco Longhi trying to keep some sort of order- to be fair to him. Anyway, you are probably right that the best use for the trackbed would be a path/cycleway, as trains are highly unlikley. As for the Metro, having used it, I think it gives the worst of both worlds- the inflexibility of being tied to rails, the requent stops and congestion when it rejoins the road. I fully agree with the pensioner’s pass scheme, just not so happy with the result. Pingback: Should the Lichfield to Walsall rail line be reopened? I’m trying to find out when the railway bridge that used to cross the Chester Road North, Brownhills, just past the Hussey Arms was demolished. If anyone knows I would be very grateful as I have done many a search over the internet but haven’t found what year the bridge was demolished. A great post! 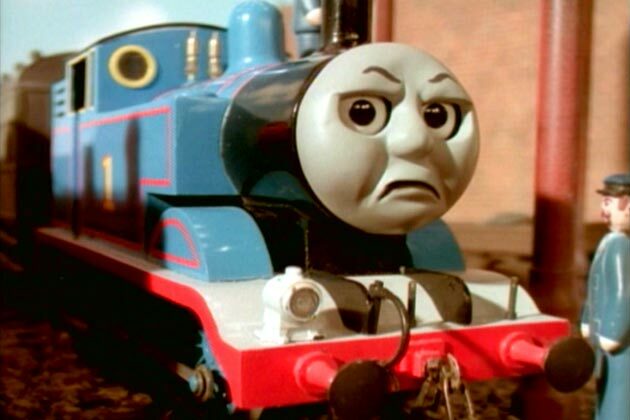 First of all I can speak with expereince of actually trying to get from Walsall to Lichfield without a car as I work in Lichfield, it often feels like I’ve managed to battle the public transport gods when I get there sometimes by 4 trains. Pull up a pew, this is going to be interesting. There is a nice gap analysis here and it’s called ………. Sorry did I say that loud enough? Rugeley Trent Valley, oh I long for the day the announcment at Walsall says “the next train is to Lichfield Trent Valley, via Rugeley Trent Valley”, I would kiss the station staff, wll I would if the add on to get to Lichfiled wasn’t the same amount as 2 weeks worth of Petrol. Open google maps, this’ll be fun for you to try at home. See Rugeley Trent Valley? Scooch to the west to Lichfield Trent Valley. HELLO! Interesting? Yet there is no direct train service from Walsall to Lichfield TV you have to change trains and get the train to Crewe. The suggested route from Walsall to Lichfield is into New Street and out (actually a change at Aston is better), madness. The Rugeley service stops there and doesn’t go the extra 10 minutes to link us to Lichfield TV, where you could get a connection to Lichfield City. Absolute lunacy of the highest order! While this doesn’t link up Brownhills, it surely could be a solution to save some face politically and/or get re-elected? For starters the 61, doesn’t start before a certain time, so right away to get to work in Lichfield by the 61 route, I can’t, oh and by the way the last bus at 17:40 ish terminates in Brownhills. So we can junk off the 61. The 991, well aside from the real fact that your bus pass works in Walsall, but get on the same bus in Lichfield, the survey says “Urgh Urgh”, you’re in Staffordshire now boy, that’ll be £2 please! It doesn’t make sense for me to get the bus because it’s £50 for the pass that only works in one direction and £2 a day to get home. Simply because the centro supported area stops shortly before Shire Oak. So we can junk off the 991, even though it’s the quickest way to travel to Lichfield, it makes no sense economically and I can say with certainty there are commuters who rely on the 991 and perhaps are the reason why it’s even still running. Aside from the aforementioned service linking Walsall to Rugeley Trent Valley (did I mention it’s a 10 minute journey to Lichfield Trent Valley from Rugeley?) there is the wonderful aligning of the planets that mean your connection at Aston is in the hands of the train god. Yes I do honestly believe we have a train god. The Lichfield City service doesn’t care for Aston and if you went to New Street, you’d miss it anyway, it’s too posh for the West Midlands and tries to escape as fast as it can. So you are left waiting for the slow train that does go all the way to Lichfield Trent Valley, thankfully. However if you manage to get the connection to Four Oaks with the help of said train god, you can get ahead of the Lichfield City train, by getting off at Sutton and getting the faster service to City. You are still stuck if you want Trent Valley, but you’ve had the adventure of 4 trains or maybe a cycle down the hill from Lichfiled City to TV, but it could oh so nearly have been one train from Walsall to Lichfield on train tracks that already exist. But it doesn’t go the ten minutes more to Lichfield TV as that would require a reversal at Rugely TV, as well as this the train would have to cross the WCML in order to access the correct track from Rugely TV to Lichfield. Crossing such a busy line (it has more that 15 trains an hour) is ridiculous and is so far fetched. Changing at Rugely TV is not that hard. Once this service got to Lichfield TV is there a turnback facility on the low level? Such a stupid plan especially since the 35 and 35B provide 1.5 buses per hour.